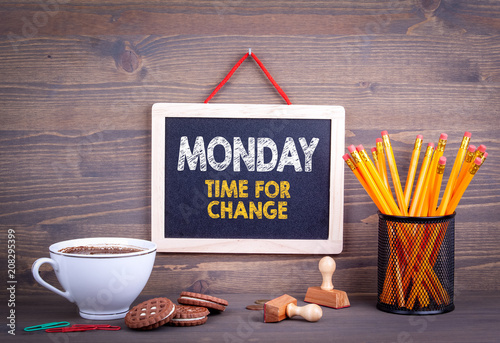 Monday time for change. Business Concept. Chalkboard on a wooden background.